PARK SLOPE — Carb lovers are in luck — Le Pain Quotidien is expected to open soon on Fifth Avenue. The French bakery cafe, which peddles croissants, muffins, brioche and other bready treats, is slated to move into the space formerly occupied by Moutarde on Fifth Avenue and Carroll Street, Brownstoner reported. The company did not respond to a request for comment. A Craigslist ad seeking baristas, servers, prep cooks and porters at the new location was posted recently. 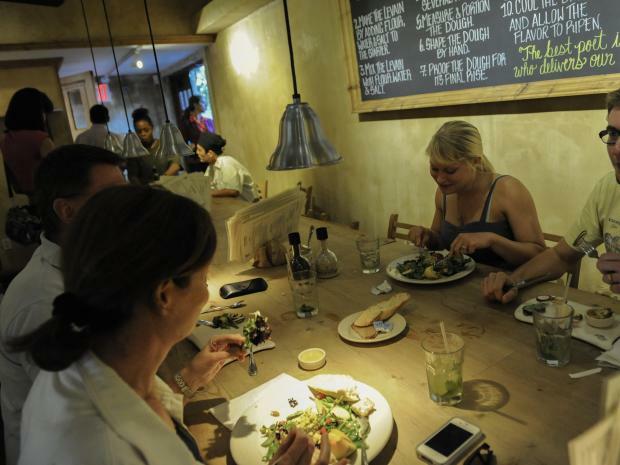 Le Pain Quotidien has locations around the world and one other store in Brooklyn, in Brooklyn Heights. Moutarde, a French bistro, was closed for repairs in December and never reopened, Here's Park Slope reported.